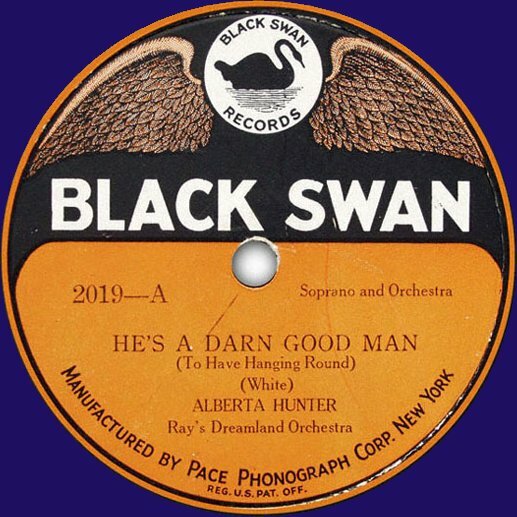 I can't possibly dive deeper into the history of recorded African-American music, than with today's special on the Black Swan label. This was the first Black-owned and operated record label ever, dedicated to bring the blues that were issued on sheet music by people like W.C. Handy, and the African American musicians to record. But initially, it were the white artists, rather than these African-American musicians, who were interested in this new source of music. Apart from an interesting story on a record label, I'll tell you that these were formative years for the development of the urban blues on record. Songwriter and publisher W.C. Handy in fact has documented the style of the blues as he heard it in the Mississippi delta, first bringing to sheet music the typical style elements of the blues. And also today the early life stories of several great musicians, such as Alberta Hunter and Fletcher Henderson - enough to listen to.